Tender: AB 10ft fibreglass RIB and Tohatsu 15hp (New May 2017). 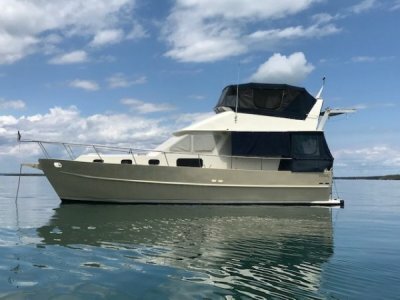 Three cabin Owner's version, with full lenght Owner's cabin to starboard with private ensuite shower, toilet and handbasin. 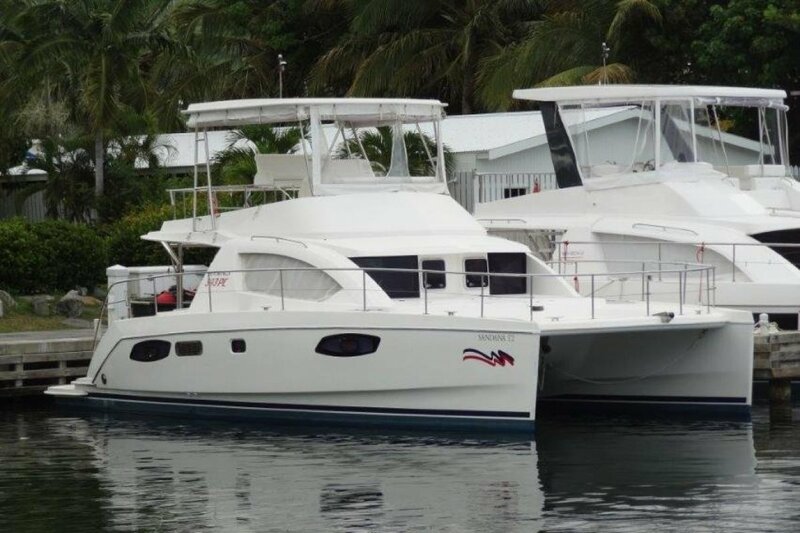 Two double cabins on Portside, sharing an ensuite shower and heads. Three double berths and one 'make-up' saloon berth. Two H&C showers in ensuites and H&C shower in cockpit. Generous benchtops for food preparation, ample storage for consumables, large deep sink and drainer, mixer tap. Primary Anchor is a Delta. Secondary Anchoris a Fortress FX-23. Other Ground Tackle includesd Anchor bridle, shackles & hook, roller fitting with chain wear plates. Anchor Windlass is a Quick 1000w with hand-held remote. Shore Power: 110V Shore power pack & 50ft 30 amp shore power line. 12VElectrical Circuit: 110VBattery Charger: 40 amp. Generator: Northern Lights Genset 6kW-7297 hours @ July 2016. House Batteries: 3 AGM 210Amp hour each, house battery isolator switch. Engine Batteries: 2 AGM 100Ah, 2 x engine starter battery isolator switches. Generator Batteries: 1 AGM 100Ah. Alternators X 2. Fans: 2-speed fans in saloon, galley, cabins. Depthsounder: Raymarine ST 60+GPS: Raymarine color C90w chartplotter at helm station. Compass: Plastimo. 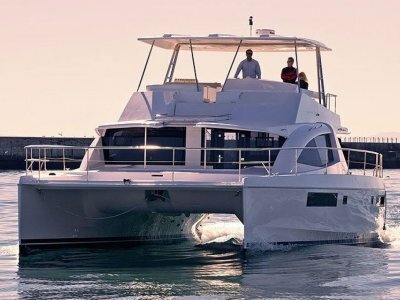 Autopilot: Raymarine ST 60+VHF: Raymarine VHF 55dsc radio at nav station plus 2nd handset at helm station. TV Set: Viore 19inch. Radio: Sony Marine CDX HS70MS. Cockpit Speakers. Steering System is Single station hydraulic w/ 2 x hydraulic cylinders and tiller arms. 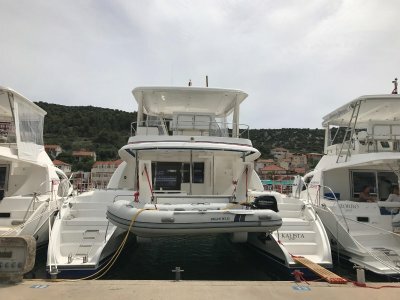 Swimming Ladder, Cockpit Shower, Davits, Custom stainless steel davit system with electric winch. Cockpit Table. Grill / BBQ. Easy flight from the US to view, and easy relocation to shipping ports in Florida. 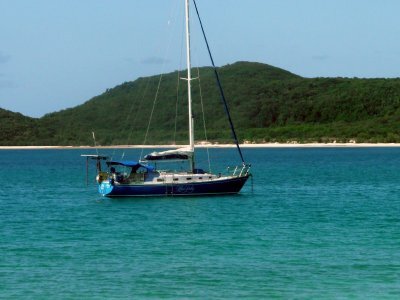 The boat has a shallow draft, excellent for out-of-the way anchorages that few others can go to. AVAILABILITY: Completed a comprehensive phase out refit and ready to go. Relocated now to Bahamas. Offers invited.